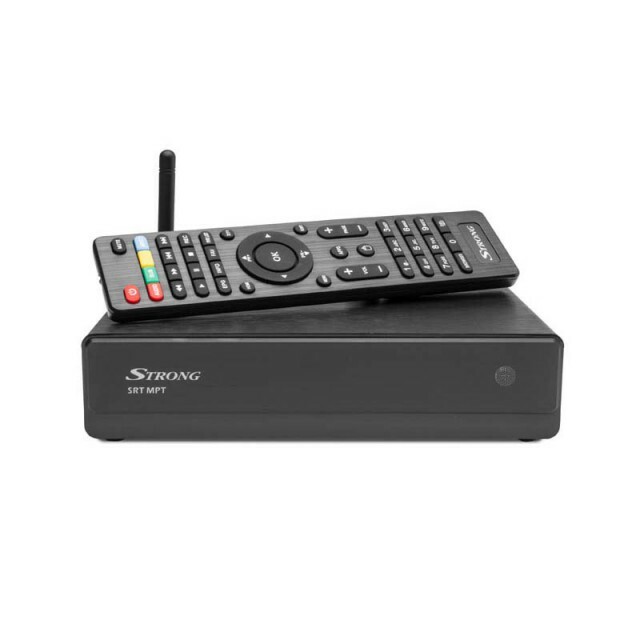 STRONG's High Definition Dual Core Media Player and Digital Set Top Box with Record function gives any TV, even older analogue TV access to Digital TV and the Internet. Get access to all the latest Digital channels, along with access to 1000's of movies and additional TV Content online* with this easy to install Box. You can record TV directly to a USB Hard Drive and never miss your favorite show again. Play your own movies, music, and photos on your TV via USB or Micro SD Card Reader. Access Google Playstore for games, apps and more. Now you can REALLY turn your TV into an all-in-one Media Centre. Record to USB - up to 500 hours of recording on a 1TB HDD (via External USB Hard Drive - not supplied). Record 1 program while watching another from same network. IF Bandwidth 7/8 MHz Waveform. COFDM.